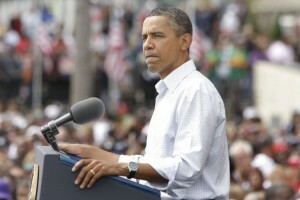 President Barack Obama in Detroit over Labor Day delivered a speech about creating jobs. He unveiled his jobs plan three days later. While President Barack Obama is busy selling his jobs bill, D.C. could certainly use some help. The District faces an unemployment rate higher than the national average, and it’s at Depression era levels in the predominately poor and black wards of the city. Extending unemployment insurance for 5,500 District residents. The establishment of the Pathways to Work fund to train and place low-income residents. It could benefit up to 400 adults and 1,400 youth in D.C. Retaining or hiring 500 teachers and first responders using $45.1 million. A possible $20 million to rehabilitate foreclosed and vacant District homes (which are concentrated in Wards 5, 7 and 8). All of this is in addition to plans to cut business payroll taxes, intended to encourage hiring, and the infusion of $387 million to fund D.C. transit projects. But before you get too worked up, keep in mind that the bill as it stands might not get passed. The White House wants the entire bill to get congressional approval, while Republican leaders have signaled they would support parts of the plan.